“I’m charging $10 for no other reason than that I need to buy paint,” reads the ad. 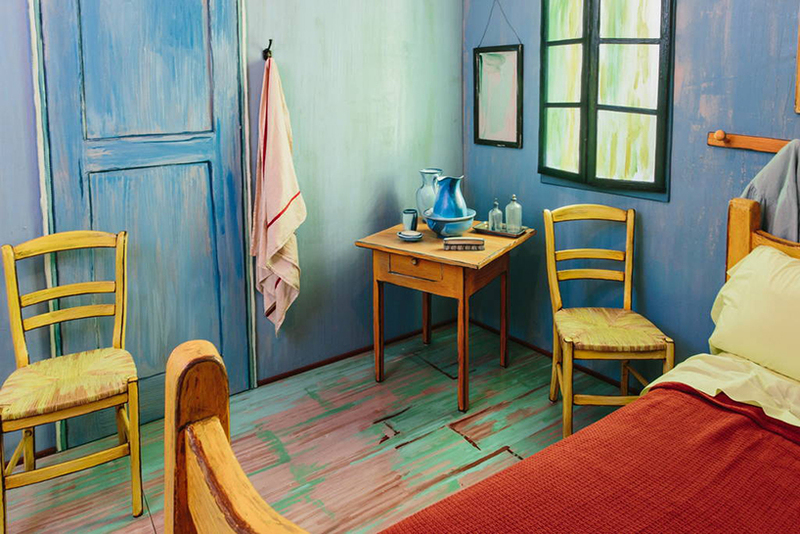 “However, I will be happy to provide you with tickets to my exhibition at the art Institute of Chicago.” Decorated in Post-Impressionist style, it’s full of soothing blues and greens, with a bright red blanket on a bed that sleeps two. 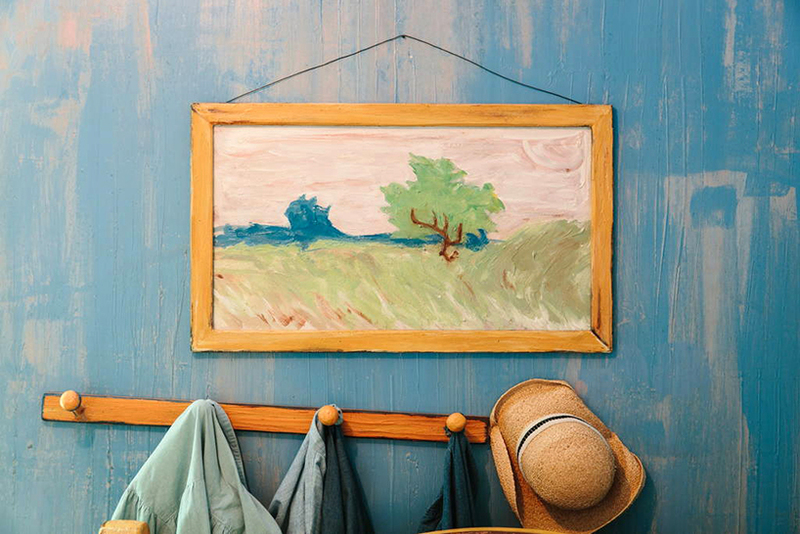 Every item in the room is decorated with painterly brush strokes to mimic the look of the original, as seen through Van Gogh’s eyes. 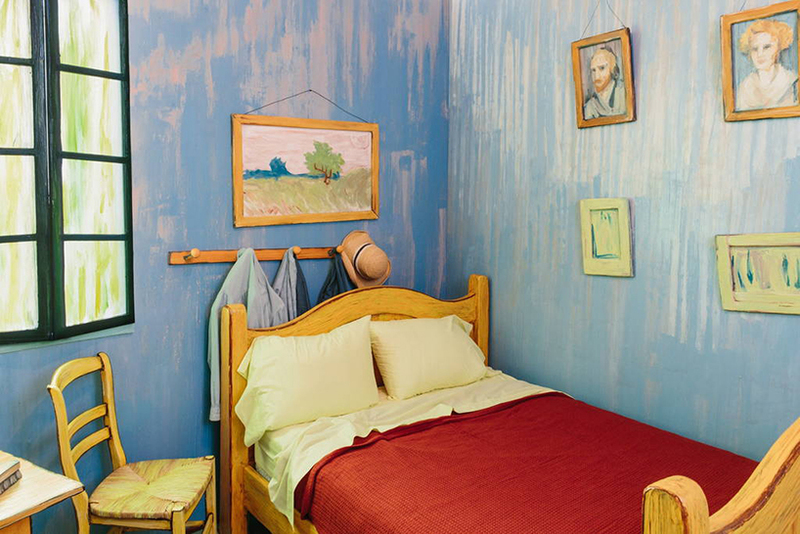 Viewing it head-on provides the exact view seen in the Dutch artist’s iconic 1888 painting The Bedroom, but the room in the ‘Yellow House’ of Arles, France was featured in two of Van Gogh’s other paintings as well. 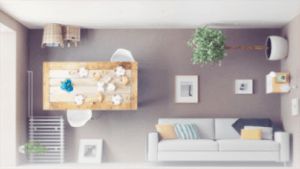 The perspective is slightly askew, just as it is in the painting, with the wall slanting inward at the ceiling and the legs of the table not quite matching in size. 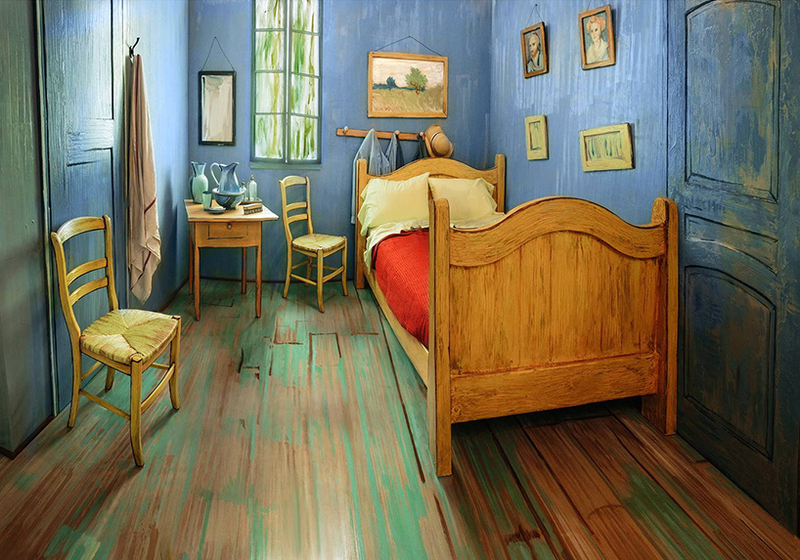 The exhibition will bring all three versions of The Bedroom together for the first time in North America, just a few blocks west of the museum. 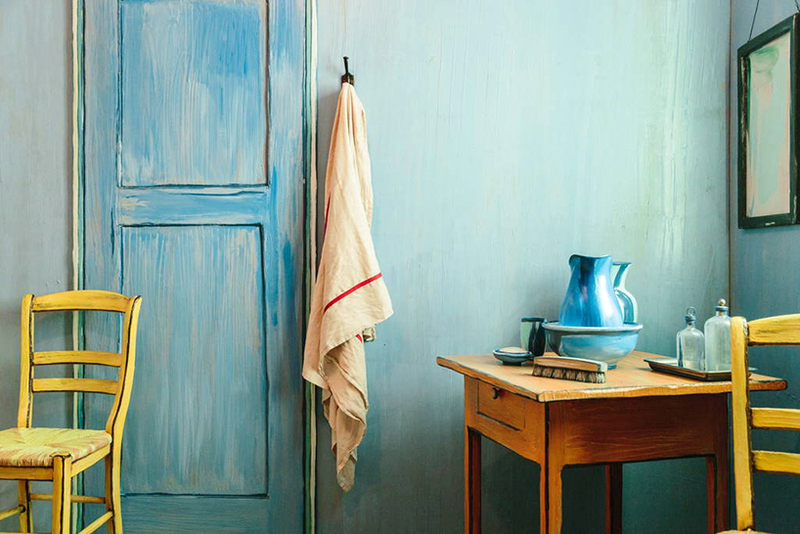 Watch the Art Institute’s Twitter to find out when new reservations can be made for the room.